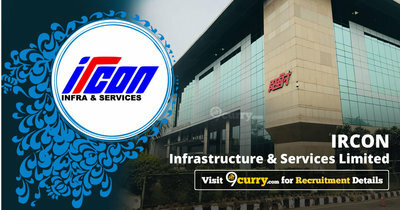 IRCON ISL Recruitment 2019: IRCON Infrastructure & Services Limited / www.irconisl.com is conducting recruitment processes to fill 18 vacancies. As of now, there is one recruitment drive going on for 18 Dy. General Manager, Manager & Other Posts. IRCON ISL Recruitment 2018 - Walk in for Project Co-Ordinator & Sr. Project Engineer Posts in IRCON ISL, Across India on Contract Basis. Candidates are invited by IRCON Infrastructure & Services Limited to attend walk-in-interview to be held on 06 Dec 2018 10:00 AM for 7 vacancies. IRCON ISL Recruitment 2018 - Job notification for Project Co-Ordinator & Sr. Project Engineer Posts in IRCON ISL, Across India on Contract Basis. Applications are invited by IRCON Infrastructure & Services Limited on or before 10 Nov 2018 for 7 vacancies. IRCON ISL Recruitment 2018 - Job notification for Supervisor Company Affairs Post in IRCON ISL, New Delhi on Contract Basis. Applications are invited by IRCON Infrastructure & Services Limited within 14 days from the date of the publishing in employment news for 1 vacancy. IRCON ISL Recruitment 2018 - Job notification for Project Co-Ordinator, Sr. Project Engineer & Dy. Project Engineer Post in IRCON ISL, New Delhi on Contract Basis. Applications are invited by IRCON Infrastructure & Services Limited on or before 25 Aug 2018. IRCON ISL Recruitment 2018 - Job notification for Senior Project Engineer, Project Engineer, Deputy Project Engineer & Assistant Project Engineer Posts on Contract Basis. Applications are invited by IRCON Infrastructure & Services Limited on or before 20 Jan 2018 for 19 vacancies.